The Senate Finance Committee has voted overwhelmingly to approve Sylvia Mathews Burwell's nomination to be the nation's next health secretary. The 21-to-3 vote sends her nomination to the full Senate, where Democrats hope it will be considered quickly. Burwell, who's served as President Barack Obama's budget chief, would replace outgoing Health and Human Services Secretary Kathleen Sebelius and assume responsibility for enactment of the new health law. 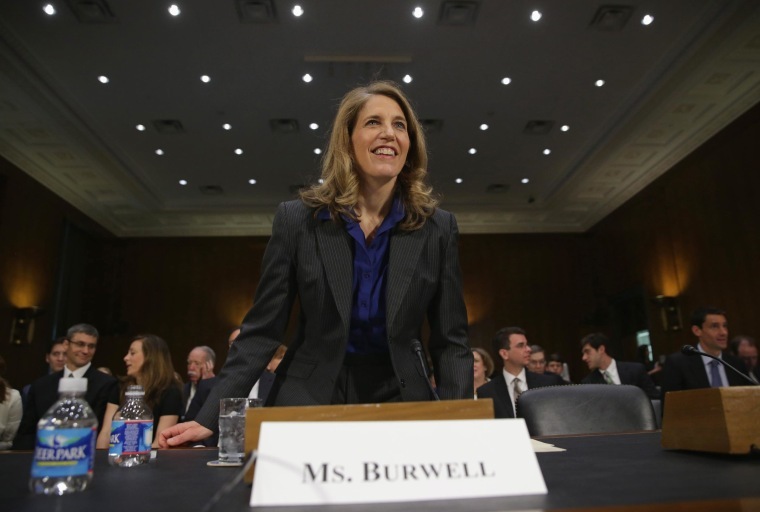 Despite expectations that Burwell's confirmation hearings would become an election-year trial of "Obamacare," there were no fireworks as Burwell won support from senators of both parties. Voting against her Wednesday were Republican Sens. Pat Roberts, John Cornyn and John Thune.